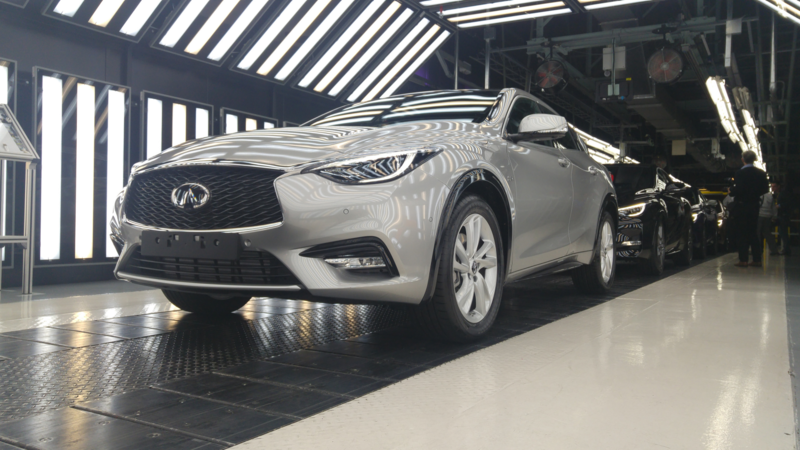 INFINITI is proud to announce the official production of the first ever INFINITI Q30 in Sunderland, UK. 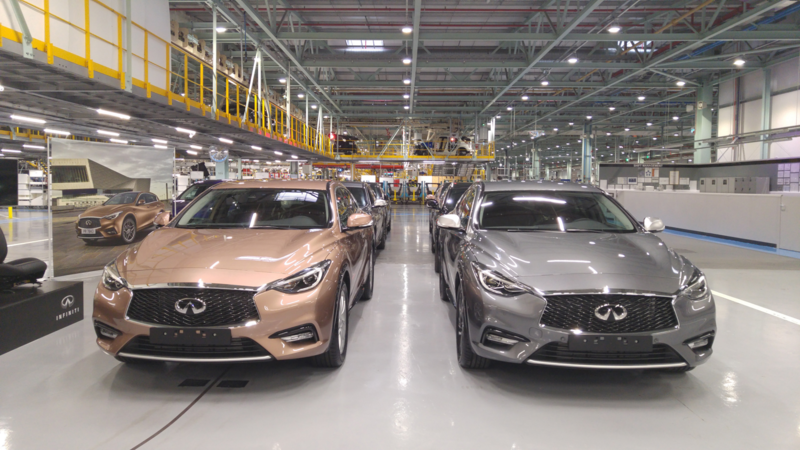 On 3rd December the first vehicle officially rolled off the assembly line following a massive investment that created 300 new jobs. 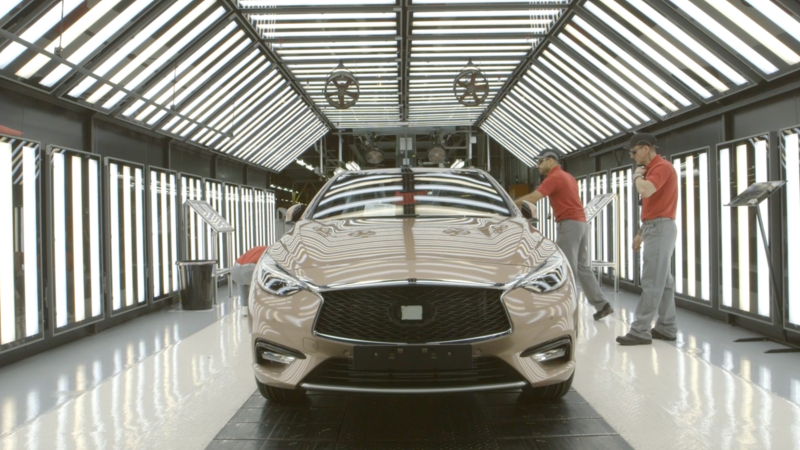 It’s the first new car brand to start manufacturing on this scale in the UK for 23 years. 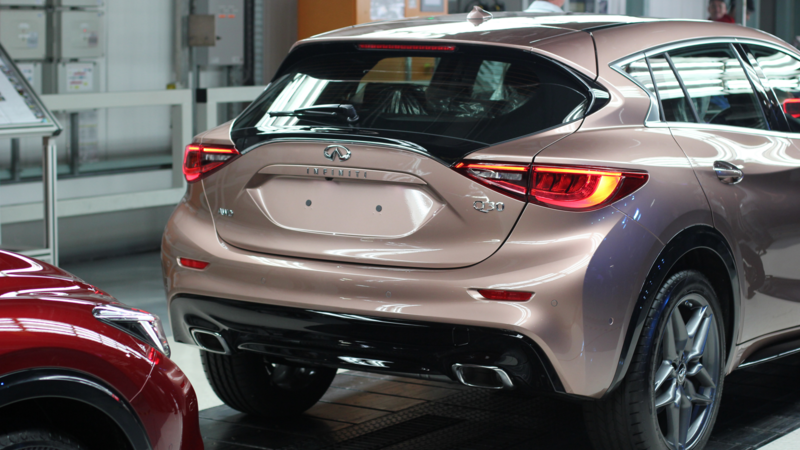 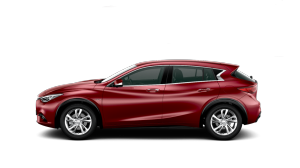 It was in 2012 that INFINITI made the decision to build the Q30 in Sunderland in recognition of the outstanding quality standards reached by the workforce over many years. 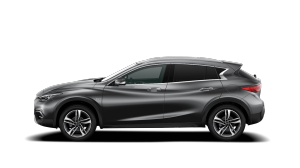 Trevor Mann, Chief Performance Officer of Nissan Motor Corporation praised the plant saying: “Over its 30 year history, Sunderland has grown into the UK’s largest automotive plant. 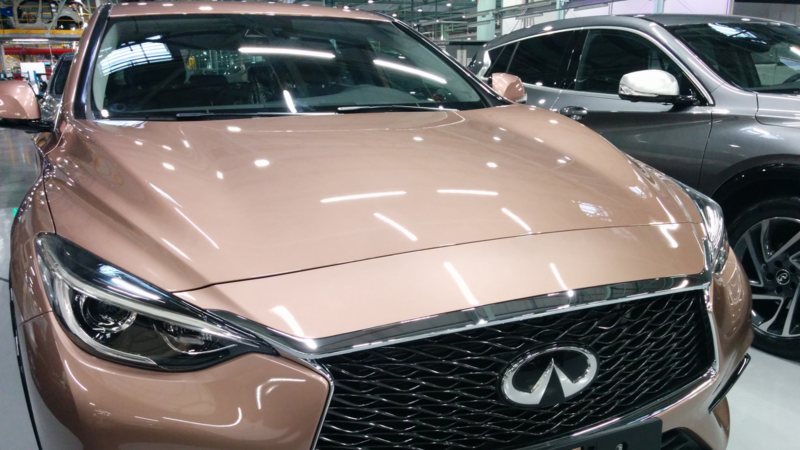 It is renowned for delivering high-quality, top-selling vehicles, and is regarded as a world class production facility with a highly skilled and dedicated work force”. 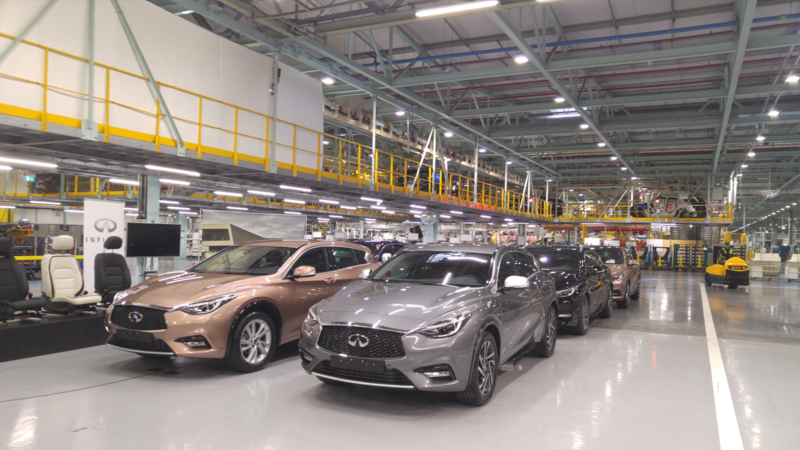 An unprecedented training programme for 4,000 staff in the requirements and expectations of INFINITI customers has created a new generation of premium car builders. 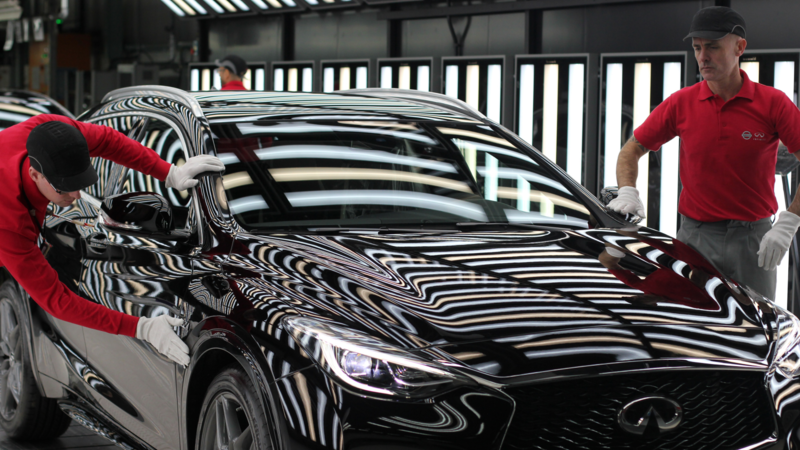 And the workforce includes a select group of newly appointed Takumi, or master craftsmen, to ensure each individual Q30 meets INFINITI ’s premium manufacturing standards. 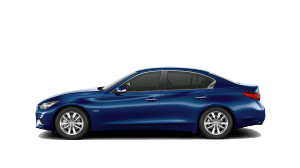 It all adds up to a powerful demonstration of INFINITI’s commitment to the UK.